Minister of National Security Wayne Caines and Kevin Richards from the Bermuda Business Development Agency spoke with the Cube’s John Furrier at the Blockchain Futurist Conference, which was held on August 15th and 16th in Toronto, Canada. Minister Caines discussed topics including regulation and the digital asset legislation, while Mr Richards provided an overview of some of the concierge services that the Bermuda Business Development Agency can provide. “Bermuda is open for business,” Minister Caines said in the interview. “But remember, when you see the requirements we have, some companies won’t meet the standard. “We are not going to alter the standards to accommodate a business that might not be what we believe is best for Bermuda, and we believe that once people see the Bermuda standard, it will cascade down, and we believe that high tides raises all boats. “We have a global standard and if a company meets it, we will be happy for them to set up and do business in Bermuda,” Minister Caines added. 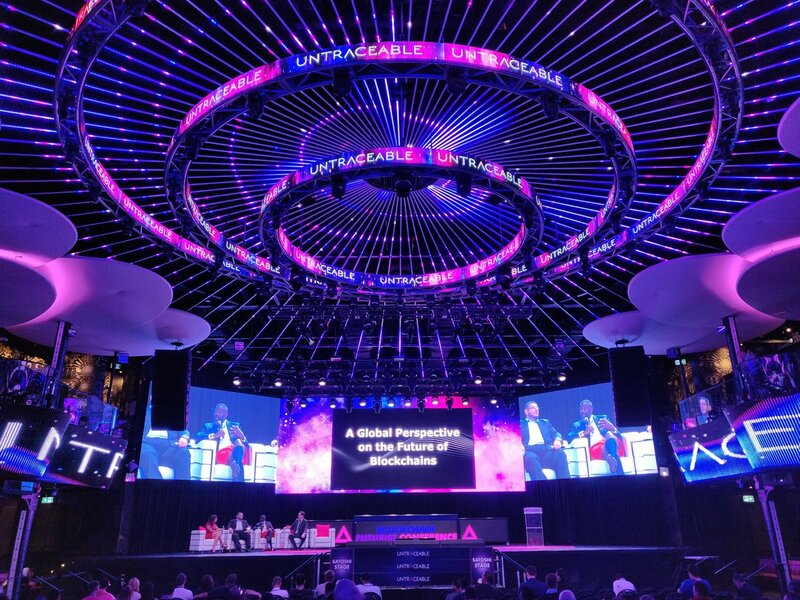 The Blockchain Futurist Conference “may have taken place in Canada, but you’d be forgiven for thinking Bermuda was the host,” stated a report from blockchain news website ThirtyK. “Clad in bright red Bermuda shorts and long dark socks, Wayne Caines, Bermuda’s Minister of National Security was a ubiquitous presence on the second day of the Toronto event, appearing in panel discussions on regulation and the transformation of capital markets. Only one word… UNTRACEABLE (says it all)!!! might as well go to Vegas!! “Bermuda is open for business”. Ministers, you clearly have no idea what this is, or how Bermuda can benefit from this. Which puts you in the vast majority. Having something new, is not a business plan. At least you wore shorts and long socks. Well done. A good use of the public purse. what ever happened to Arbitrade ? Is wayne caines the new finance minister or the fall guy for this ‘thing’?